Mind body spirit healing and the metaphysics of illness or disease is a holistic, energetic and conscious approach to creating a healthy physical life experience. When we think about illness and healing, most of us are primarily concerned with the condition of our own physical body, or perhaps the body of a loved one, client, or patient. But the phenomenon of illness and healing extends far beyond the confines of what we perceive as our physical body. What is the nature of illness, and what are the best actions to take to bring about mind body spirit healing? Illness is always the result of an error in perception. Healing takes place when that perception is corrected. Everything we experience in physical life is a result of thought given substance with feeling in the Mind. 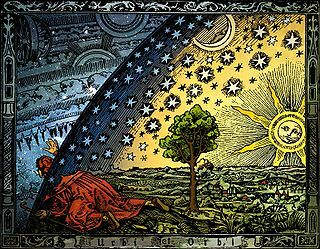 Mind is the space-time for all thought, feeling, ideas and images to exist. When a thoughtform in the Mind is given substance with fear based belief, we experience the Illusion of Separation. This experience is necessary to create physical reality in the Mind. Once the illusion of separation is created, it is the job of the Body to perceive that illusion and send the information back to Spirit and Source through the Heart for correction. 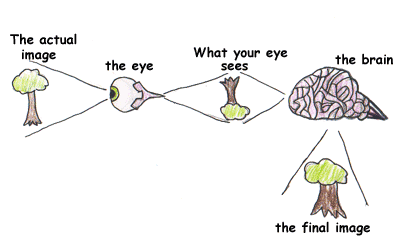 This process is very much like the process of physical eyesight. The image perceived by the eye must be sent to the brain for processing into a correct 3D physical image. When we experience feelings of inner peace, joy, gratitude and well being, that means that the feedback loop creating our physical life experience is operating correctly. We experience health and well being. When we experience feelings of sadness, anger, frustration, anxiety, or despair, that means the feedback loop through the Heart is not operating correctly, and we are stuck in illusion of separation. We experience illness, disease, and even death. The Metaphysics of Illness and Healing is not personal. We usually think of illness and disease as something that occurs within our personal physical body. But it goes far beyond that. Everything that we perceive in our physical reality is a thoughtform given substance with feeling in the Mind. All Minds are connected or One. Together, we are creating the physical world or universe we all live in. We might be experiencing a personal body that is healthy and well, or ill and diseased. What we often don't realize is that our "body" extends as far as our perception can go. If we include all forms of perception, and not just the physical, our ability to perceive is limitless. In other words, while the physical body we call our own might appear healthy or sick, and separate from the rest of the world, the truth is it is but one piece of a much greater reality - a greater reality that is who you really are. Having a healthy body is a critical element of the Heart Mind Body and Soul feedback loop that creates our physical life experience. As our spiritual awareness increases, we start to realize that in order to experience a healthy body, we must include the total environment in which that body exists. That environment is all of the thoughts, feelings, ideas and images that exist in the Mind. We are familiar with the idea that eating healthy foods, drinking pure water, living in a clean environment, and taking steps to reduce negative emotions and stress, can support our experience of having a healthy body. What is less familiar is the idea that helping others create an environment that supports health and well being has a direct impact upon the health of our own physical body. And vice versa, creating conditions that compromise the health and well being of others has a direct negative effect upon the health of our own physical body. That's because there are no "others" out there. We may not realize it, but the air, water, and food supplies that seem to be far away are actually part of our own physical "body". They exist in our perception, in the Mind, and therefore they are part of us. The great news is that the same feedback loop that creates our personal physical body is also creating what appears to be "out there". Once we gain this awareness, we can access that feedback loop and use our perception to send images of illness and disease "out there" to Spirit and Source through the Heart for correction. The result is Mind Body Spirit Healing - for you, and for everything and everyone you experience as "out there" in your physical life! The Exponential Healing Effect of Connection with "Others"
Each of us experiences a zero point of awareness within the One Mind. Because the One Mind is holographic in nature, within each zero point there is also an image of the One or the whole. Coming together and sharing points of awareness creates the holographic image we collectively experience as physical reality. 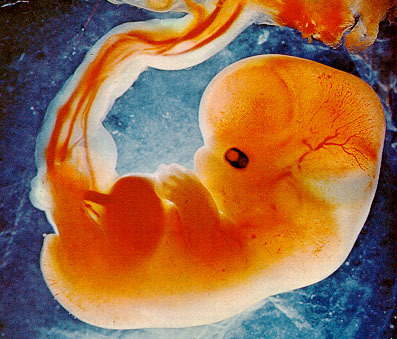 This process begins even before conception. Thoughtforms and feelings that create physical life experience in the Mind are fed into the newly forming point of awareness as it is being created. This is why fetuses spend the majority of their time in the womb "dreaming". When the child emerges from the womb, it is part of a shared and mutually agreed upon 3D holographic reality. This shared 3D reality, which exists in the Mind, has an impact upon the child's life and health. And as the child grows, what she thinks and feels will have an impact upon our holographic 3D world. 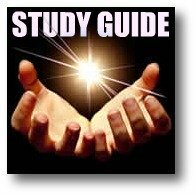 In other words, when you use metaphysical healing techniques you will experience mind body spirit healing results that extend far beyond your own personal physical body. One of my favorite authors, Lynne McTaggart (The Intention Experiment and What Doctors Don't Tell You) has been conducting both formal and informal experiments on the effect of group and individual healing intention for more than two decades. What she has discovered is something that has been taught by Kabbalah scholars for ages. When groups of people come together and share a collective positive and loving intention, the individuals in that group experience spiritual awakenings, improved health and well being, and many other physical and non physical benefits. "Whenever two or more of you are gathered in my name" has very real physical consequences for our lives! Other organizations doing similar work include the Intenders of the Highest Good, the Heartmath Global Coherence Initiative, and of course McTaggart's now famous Intention Experiments. The Intenders and Heartmath GCI offer online groups you can join and experience the benefits for free. McTaggart has a year long, more organized group that offers more features for a reasonable price. 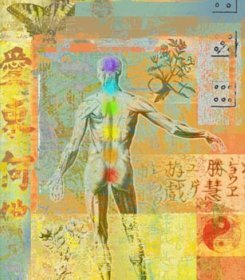 There are many Mind Body Spirit Healing techniques available today. From the perspective of the metaphysics of illness and healing, the most effective approach and techniques will include addressing thought and feeling in the Mind, and utilize the feedback loop of Heart Mind Body Spirit and Soul. These techniques could be called "metaphysical healing". 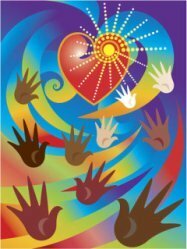 Some metaphysical healing techniques I have personal experience with include the Healing Codes, EFT or Tapping, Heartmath, and my own Heartcompass Life Navigation System. I have worked with coaches and on my own with all of these systems. One of the reasons I created the Life Navigation System was my desire to have a process or technique I could use whenever I needed it, without having to make an appointment and spend money meeting with a facilitator or coach. I have had great success with it, and after years of research and investigation, I can offer an explanation of why it might be different, and why it is so effective even when used "alone", ie. without a Coach or in a group. The Life Navigation System came to me in a dream one night after asking the Universe, Source, God for a way to discover what my Heart truly desires (ie. what was written on the blueprint of my Soul). At the time I was inundated with "law of attraction" materials telling me how to make more money, get a big house, fast car, and even an intimate partner (ie. "soul mate"). My Heart knew that none of that was for me, and it would send signals - negative emotions - indicating I was Off Course whenever I tried to use LOA to get the things everyone said would make me happy. To make a long story short, I was shown the Life Navigation System, started using it, and now live in a tiny house in the foothills of Southern Oregon where I can meditate, write, and connect with nature and God. The most important thing I discovered, however, was that even though I appear to be "alone" I am not. Sometimes I forget this and start to feel lonely. When that happens, my health and well being falters, and the Life Navigation System is not as effective. Using the Heartcompass Life Nav System correctly, I can access the Heart which connects me to the "zero point", the point of awareness within us that is connected to everything else. When I do this, I am not alone in my healing intentions. "Others" who are on the same wavelength are always there, and together we not only create amazing "outer" manifestations. We also benefit individually and collectively in our personal lives. Over time, as I practice using the Life Navigation System, which is a feedback loop system, I have noticed some incredible shifts in human consciousness and even behavior. We still have a long way to go, but at least there are signs of progress. 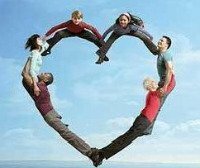 And, of course, whenever two or more of us are gathered for positive intentions, there is wonderful healing Love. 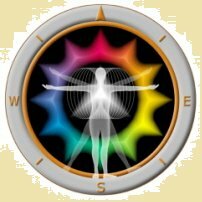 To learn more about the Heartcompass Life Navigation System visit the Foundation for Creating A Mind With Heart. Join the Foundation for free and get a free ebook, "Your Heartcompass Owner's Manual". Take a free Heart Issues Assessment from Healing Codes here. Learn more about Heartmath and join the Global Coherence Initiative. We no longer have a shared universal image of what constitutes a "healthy" diet, lifestyle, or treatments for illness and disease. Take your time exploring all the alternatives "out there". Learn how to gain access to your life's perfect blueprint (written in your Soul and accessed by the Heart) at the Total Heart Mind Body and Soul Makeover Course on Udemy. The advice in this article is not intended as medical advice. See your doctor if you have conditions that might require medical attention. Video demonstrations of how I integrate various healing techniques to get accelerated results. Join the Foundation for Creating A Mind With Heart to be notified when these videos are available. Watch "A Daily Prayer for Peace of Mind" - experience Mind Body Spirit Healing in just two minutes!